As the economy continues to encourage people to cut all expenses that don’t directly benefit sales, PR people are increasingly under attack. PR and public affairs executives will be the first to see their staffs, budgets, and retainers cut if they can’t prove their worth. Traditionally, it was very hard to draw clear associations between a press clipping and a rise in sales at a store. PR people adopted “impressions” as a short hand, with the hope that everyone would buy into the concept that impressions are good for sales. During good economic times, everyone does. During bad ones, people start questioning the linkage. 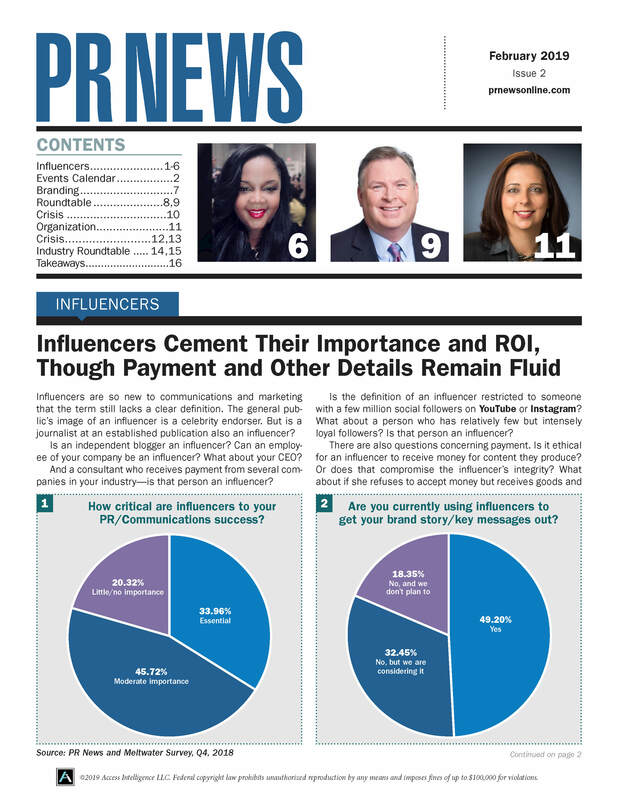 However, the rise of digital social media and e-commerce means that you can directly connect a sales, leads or donations with the PR or public affairs messaging that you’re conducting. You can track someone who bought an airline ticket after following a link in your Twitter feed. You can accurately link a donation given in response to an update sent from your Facebook fan page. By using freely available measurement tools, you can demonstrate that your communications work drives sales and directly benefits your organization’s bottom line. All it takes is a little time on your part to learn how to measure it. In most commercial organizations, your Key Performance Indicator (KPI) is sales, or, for big ticket/long-sales-cycle items, qualified leads. For nonprofits, this is donations and leads for major/corporate gifts. For all organizations, e-mail subscriptions are a proxy for sales at some future point. Find out if your organization already has a Web analytics package installed, such as Omniture SiteCatalyst, WebTrends or Google Analytics. If one of these products is already installed, then you’re in business. If not, then you’re not likely to get anyone to spend any money on a Web analytics package. Lucky for you, Google Analytics is free. Work with your IT staff to get it installed using the self-help video tutorials Google has produced. Most Web analytics products operate by measuring “goals:” a sale, an e-mail signup or a “request for more information.” When a user surfing your site completes one of these actions, they pass through a “thank you” page at the end of the transaction. Products like Google Analytics consider the arrival at this page a mark of success, and register that goal achievement upon arrival. Finding the thank you pages you should be tracking is easy since you already established the KPIs in step one. Just take the thank you pages for each KPI and tell your analytics program to assume that a Web surfer that visits that page has accomplished your goal. In Google Analytics, this is no more complicated than simply pasting the “thank you” page URL into the system. Tagging your inbound links is the most important step of the process. By tagging your links, you can tell which of your social media or advertising activities is generating sales. The process is different for different products, but I’ll review it for Google Analytics. Let’s take my client EarthShare as an example. EarthShareis a national federation of environmental charities that runs workplace giving programs for employees and employers to financially support environmental charities. They have an offer at http://www.earthshare.org/workplace-giving-campaigns.html designed to bring in leads about new workplaces that want to run workplace giving programs. Although this looks complicated, Google Analytics has a free URL Builder tool to help you build these links. Plus, since this link is only clicked on, and not re-typed, it doesn’t matter how long the URL is. Furthermore, by tracking it specifically, Google Analytics can tell you which of the leads, sales or donations came from the e-mail, and which of them came from elsewhere. And this doesn’t just work for items you create; you can also give modified links to your partners, so you can track how much traffic came in from their Web sites, and its ability to generate sales. At EarthShare, we track all of our e-mail newsletter traffic, all of our Google Grant AdWords advertising, and are in the process doing the same for our Facebook work. Nothing justifies a social media program or an e-mail newsletter like seeing sales generated from Facebook links. Step 5: Monitor your results, and allocate your resources accordingly. This data for the last 60 days was pulled straight out of Google Analytics for EarthShare, and it shows that the E-mail Newsletter has been an excellent source of goals. For every 100 unique visits to the Web site that the newsletter generated, 2.4 of them resulted in a donation, workplace lead or an additional e-mail subscribe (probably from people passing the e-mail around). In addition, visitors from the e-mail newsletter stayed longer and read more pages of the site. Similarly good results were given from a new AdWords campaign targeted at corporate “green teams”. On the other end of the scale, very poor results were obtained from a generic Google AdWords account (labeled “EarthShare”), as well as a donated banner ad campaign from a third party yielded very poor results. These campaigns should be optimized or paused in order to ensure they are yielding good results for the effort involved. Setting up analytics for your PR work should allow you to take credit for sales, donations and leads brought into your organization’s Web site in ways that you previously couldn’t. Once you can demonstratively show that your PR messaging is tied to sales, making the case for preserving or increasing PR work and social media programs should get a lot easier. Shabbir Imber Safdar and Jason Alcorn spend their days executing digital media campaigns at Virilion Inc. They can be reached at ssafdar@virilion.com and jalcorn@virilion.com.